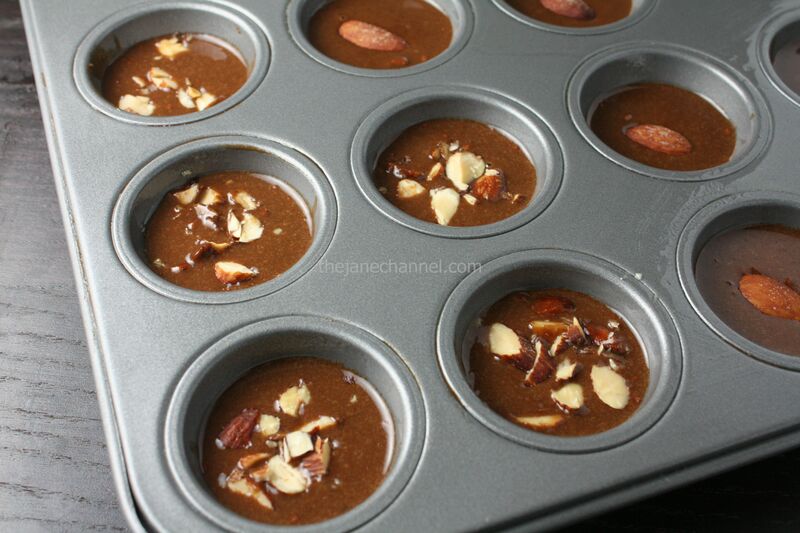 Combine flour, baking powder, salt, sugar, and cocoa in a bowl. Whisk egg whites until foamy in a separate bowl. Stir in oil with a whisk. Add egg white mixture to flour mixture, stirring just until moistened. Fold in chocolate chips. 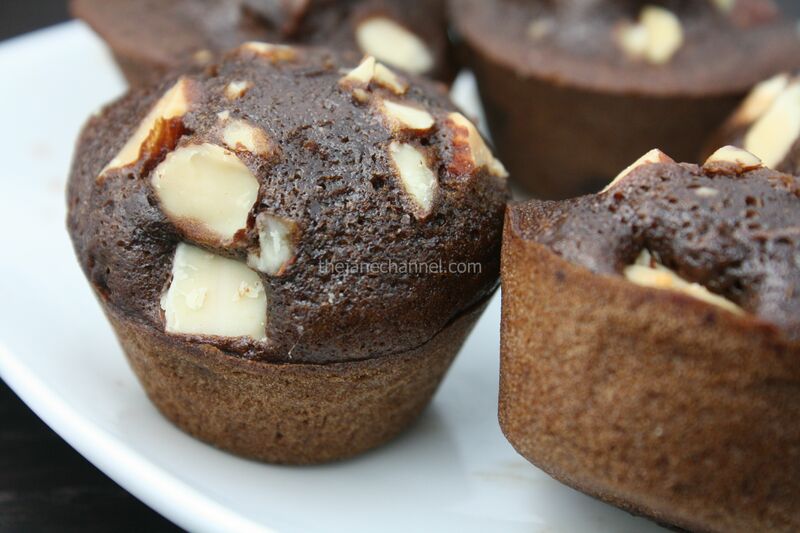 Spoon batter into 22 mini muffin cups. Sprinkle almonds on top. Bake in preheated oven at 400 F for 10 minutes.